Take Steps to Healthier Skin! When Simone France contacted me to see if I would be willing to review their product, I immediately responded with an enthusiastic “YES!”. My skin care regimen was basically non-existent. I would use my MaryKay moisturizing soap bar in the shower in the morning on my face, and I would use a make-up removing cloth at night. 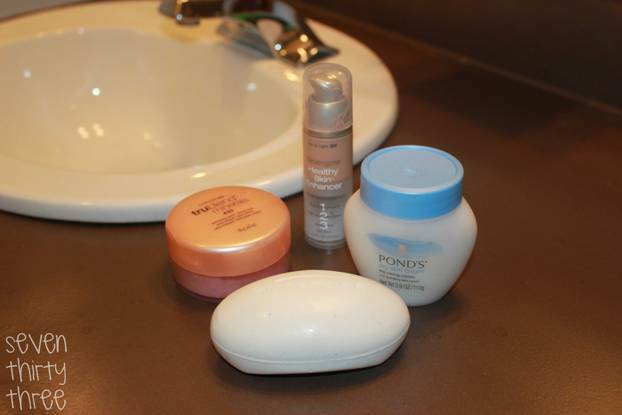 The only other regular item that I used was a Ponds Sensitive Skin Face Lotion and a tinted moisturizer (can you tell what type of skin I have?). I don’t have bad skin – no acne, no large pores. But I do have dry areas (thanks Vermont Winters! ): my forehead, eyebrows, side of my nose and near my ears. But more than that, I’ve heard better skin care helps keep your youthful appearance, so having something to test out was exactly what the doctor ordered (the phrase – not literally)! 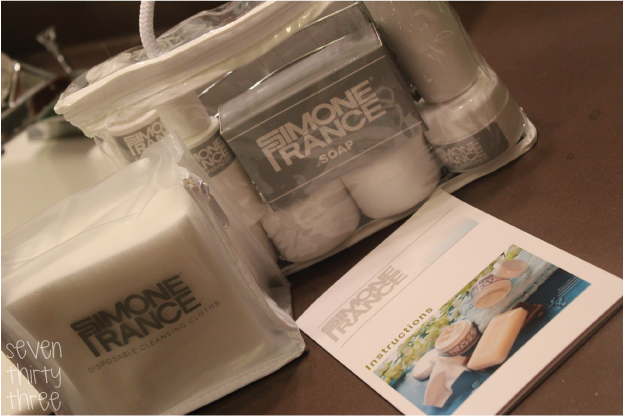 I received my Simone France travel kit about 3 weeks ago and have been pretty impressed with the results. The process is not overly long and I’ve noticed my skin feels smoother and is noticeably less dry… and it just feels cleaner! I have super sensitive skin – even as a child all-natural items caused me to break out in rashes or caused my skin to redden and burn. I remember one instance when I got butter on my cheek and my skin instantly turned bright red where the butter touched and it burned horribly! Needless to say I am very careful with what I use, which is probably why my original skin treatment was pretty stark. I started following the instructions to a T, but I noticed my skin was getting a little red and splotchy so I dropped the refining scrub and only use that a few times a week instead of daily and the problem went away. I have LOVED the facial soap, and both moisturizers, as well as the rich milk which does an AMAZING job of removing make-up (including eye make-up which is about all I wear), and the toner feels great on my face at night. The cleansing cloths are great and work well. I’ve been happy with the results and will continue to stay on this skin care regimen. I did notice the first week that I used it I had a small break-out, for me that is 2-3 small zits. Those cleared up within a few days and I haven’t had a problem since… probably just because those pores were so suddenly clean! I had grandiose plans of taking a picture a night to show the changes in my skin… however getting my husband to cooperate was not easy and taking mirror shots of your face isn’t always easy… so you’ll just have to take my word for it that my skin really does look healthier! I find the Simone France Website to be easy to navigate especially since you can shop by skin type! 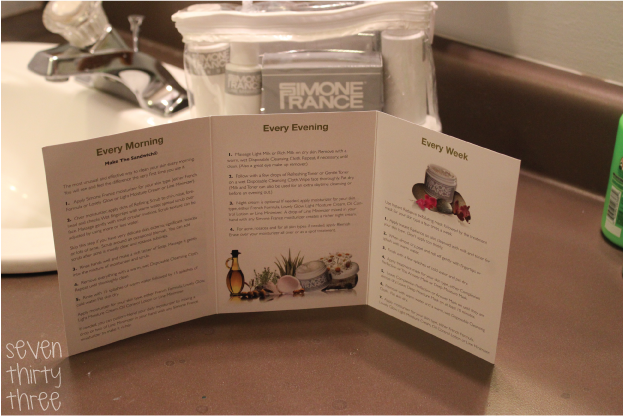 They also have some great skin related tips, so make sure you stop by to see how you can help improve your skin!